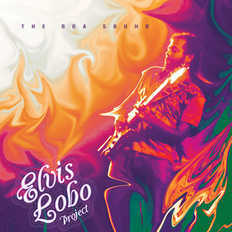 Elvis Lobo Project | OK Listen! Elvis Lobo is a guitarist/composer from Goa, one of the most versatile players in the country. He began playing in 1995 & has played with different international set ups at the biggest music festival around the world (Big chill, Boom, Namaste, Trishula, Sonica, Windsong,Fusion fiesta,Sunburn & more) & the one of the few Goan musician to have played in more than 25 countries around the world. The journey began in the season of 2000 (Goa) when we got back the idea of open jams at various venues across the coastal belt of Goa. Musicians from Goa, India & around the world got together & jammed live, all in the spirit of the moment. These experiences of different styles from the Middle East, Africa, South America, Europe, India & Goa have inspired me to fuse & create the tripnotic sounds of Goa Jams. The album features more than 25 musicians from Goa, India & around the world .You have Derek Julian,Lew Hilt,Arjun Sen,Ian D'souza , Bondo, Shani Ban Canar,Jake Charkey to name a few who have recorded for the album. Elvis lobo project is a 4-5 piece set up,Elvis Lobo on Guitar, Joe Ferrao bass, Sameer Alvares on keyboard , Bosco D’souza on Drums .The band travels as a 4 piece base set up & depending on concert/festival location features local artist.